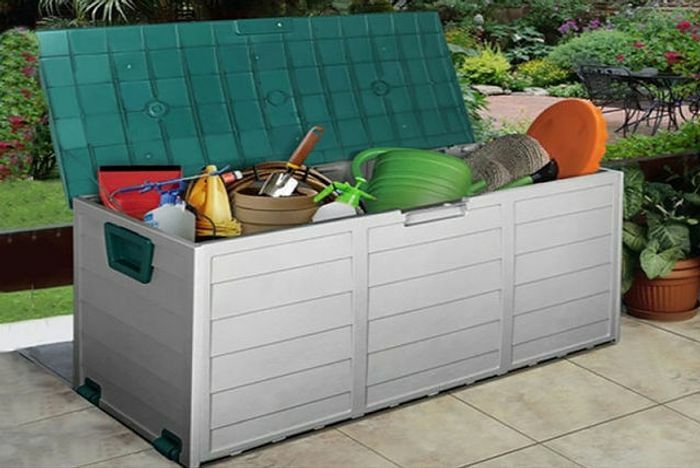 Get an extra-large outdoor storage box. Fully waterproof and weatherproof made of durable polypropylene plastic. Dimensions: W 112cm x H 54cm x D 49cm.